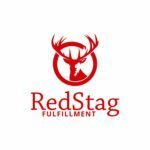 Red Stag Fulfillment is a popular US-based eCommerce order fulfillment services provider that specializes in shipments over 5 pounds and offers a 100% guarantee for their 48 hour dock-to-stock time, order accuracy, order speed, and inventory accuracy. This vendor stands out in the market as it combines cloud-based fulfillment software with excellent operations to take care of your product fulfillment needs. We recommend Red Stag for fragile, high-value, and oversized goods, items above five pounds, and products that need customization or light assembly before shipment. Red Stag has struck a useful deal with FedEx that enables them to ship oversized and heavy products at considerable discounts. Plus, they use state-of-the art quality control solutions to video-track their warehouses and packing locations to prevent theft, packing mistakes, and shipping damage. If they make an error in their service, they promise to pay you $50 for each occurrence. Red Stag Fulfillment was born when the owners of an independent online store had a tough time finding a reliable order fulfillment services vendor that cared for customer satisfaction. When yet another third-party logistics provider nearly derailed their eCommerce business, they made the decision to develop the fulfillment provider they had such a hard time finding. Red Stag Fulfillment has been founded by two entrepreneurs who were operating multiple successful e-retails businesses, but as mentioned earlier, they could not find a quality fulfillment company that could offer the service level they expected. The founders’ businesses flourished from just a couple of orders per week to shipping thousands of items each day. However, the third-party fulfillment service they were using was unable to provide the required service level for their growing operations. The entrepreneurs tried out and researched numerous options and finally realized there was not a single provider in the market that could offer the dependability and quality they required. This gave them the idea to launch Red Stag Fulfillment. According to Red Stag Fulfillment reviews this company is considered to be one of the top notch fulfillment services because of its impressive accuracy rates. Their video-monitored packing infrastructure reduces mistakes to 1 in every 150,000 packages. They place video cameras over each packing station to protect businesses from customer claims of erroneous orders. This reduces fraud and theft, and saves money for its clients. As mentioned earlier, their exclusive deal with FedEx enables this provider to offer significant discounts on shipping oversized and heavy goods. On top of that, they also have affordable rates for orders needing light assembly or custom kitting. Cost-effective storage: Some companies turn over their stock quickly, while others sell lesser number of goods and therefore need to store inventory for a longer period of time. The latter companies should look for a fulfillment provider with competitive storage fees. Red Stag is a good option as it charges $15 per month per pallet, as well as a range of lower-priced partial bin and pallet plans. Thus, this vendor offers flexibility and affordability for your business. Heavy items: Shipping rates make up a big part of fulfillment expenses. You need to pay much more for shipping big and heavy products. For sellers specializing in these types of goods, negotiated rates for oversized and heavy shipments are a big boon. Red Stag’s contract with FedEx helps its clients save up to 45% on shipping rates making it an ideal choice for sellers that dispatch gas grills, bowling balls, and other big and heavy items. High-value products: Red Stag utilizes a strict quality control process to cater to the needs of sellers of high-value items. They video-track all storage, packing, and shipping locations to minimize errors, thefts, and the chances of customer fraud. Light assembly and kitting: If you sell items that need customization or assembly before dispatch, or custom packaging, you need a fulfillment vendor that has efficient employees and offers affordable kitting rates. Red Stag is recommended as they provide this service on both a per-order and batch basis, and they charge a set fee that is based on efficiency research, so there are no surprisingly high prices. Red Stag reviews reveal that the platform offers unique and value-adding features that make it stand above the competition. For instance, they do not charge any setup fees and offer a 30-day trial without any long-term contract. So you can check out all their services and offers with minimum risk and take an informed decision for your online store. This fulfillment vendor is a big player in the US market as they boast the ability to reach 99% of American consumers within 72 hours thanks to their wide and strategically located North American network. The company informs its clients that they take all precautions to ensure there are no errors when handling their pick, pack, and ship processes. When a client’s shipment is unloaded in their facility, they receive it accurately within 48 hours or they’ll pay you $50 for the inconvenience. If any of your orders is missing or damaged after they receive it in their facility, they will pay you the wholesale cost of that item, plus $50. They will ship 100% of your orders according to your chosen service level and if they don’t, you need not pay for that particular shipment and Red Stag will pay you $50 for the inconvenience. If this vendor ships an order with the wrong item or wrong number of items, they’ll correct the error for free and also pay you $50 for the inconvenience. On top of all this, other unique guarantees include no hidden fees, no account management fees, and no SKU management fees. Red Stag supports eCommerce integrations both directly as well as via API. They directly integrate with top eCommerce platforms Shopify and Bigcommerce, and with many others via API. The big advantage is orders get automatically forwarded to this fulfillment partner as soon as they’re placed on your website. In addition, the provider can use standardized XML files to receive your customer orders in bulk. Red Stag states that they effortlessly integrate with more than 50 ERP and eCommerce apps to create an automated and seamless fulfillment process for your online business. This provider’s proprietary cloud-based platform (RSF OPS) empowers their clients to perform real-time monitoring and reporting of all elements of their business data at any time. The main advantage is you can access all your information from anywhere using any internet-ready device. It is essential for a third-party logistics provider to ship the goods they receive quickly and accurately. Red Stag utilizes cost-effective ground shipping to swiftly deliver goods to customers within 2 or 3 days. This is possible because they have established close relationships with carriers and offer multiple service levels that include same-day order processing even up to as late as 5 pm EST. Red Stag boasts that they reach 99.9% of American customers within three days and 97% of Americans within 1-2 days. Plus, because of their shipping volume and the above referenced business relationships with carriers, this fulfillment partner enables you to save a lot of money on shipping rates for your orders. In short, you get the best of both worlds with Red Stag’s fast and affordable shipping processes. Red Stag utilizes a network of strategically placed warehouses to significantly reduce the cost of shipping orders. Their shipping rate discounts and same-day fulfillment guarantee leveraging their national fulfillment network help their clients to save money while improving their customers’ satisfaction. In addition, Red Stag clients can utilize the knowledge of the provider’s logistics experts to optimize their inventory levels across multiple warehouses to benefit from the cost savings and speed of the vendor’s network. As our detailed article shows Red Stag Fulfillment is one of the established players in the US order fulfillment services industry as it offers many unique features that guarantee fast and high-quality service at an affordable cost. We especially recommend Red Stag if your products are oversized or heavy, or need customization or kitting before shipping.